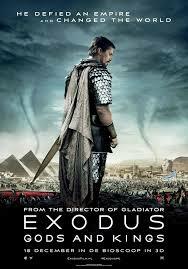 Ridley Scott’s motion picture Exodus: Gods and Kings is in cinemas now. It has sparked a storm of controversy in some Middle Eastern countries, where many have banned it for both historical and religious inaccuracies. I wrote a blog a couple of days ago looking at the historical side of the Exodus story, specifically whether there is any evidence that Pharaoh Ramses II was the Pharaoh of the Oppression / Exodus as depicted in popular culture. It is problematic to write an opinion-piece about religious inaccuracies for fear of causing offence. There has always been debate about the extent to which the Old Testament and other religious books, such as the Torah, are historical or literary works. As such, I guess the question is whether they should be taken literally or whether some poetic licence is allowable. I daresay even the most ardent Biblical scholar would accept the Old Testament stories were handed down orally through generations before they were written down. So some embellishment and distortion is likely, which is perhaps how all the best myths grow up in the popular imagination. So to call something inaccurate religiously-speaking, one would have to take the Bible stories at face value and expect them to be faithfully retold without deviation or dramatic licence. Perhaps that’s a bit much to ask of a movie-maker. To my way of looking at it, the Bible and other religious works are books of faith. I personally don’t consider faith is at odds with having an enquiring mind. I don’t see how seeking the historical genesis (no pun intended) of the Bible stories undermines any theological beliefs we may hold. Put simply, whether or not I believe in Adam and Eve in the Garden of Eden as a ‘historical’ event or as a parable to reference good and evil and the consequences of our choices and actions… it makes no difference to the ‘faith’ I may have in a higher being, whom we might call God. And so, I turn to the Exodus story and feel free to ask questions and form opinions as, I suspect, did Ridley Scott and Cecil B DeMille and other film-makers. I do so because I am a fiction-writer. 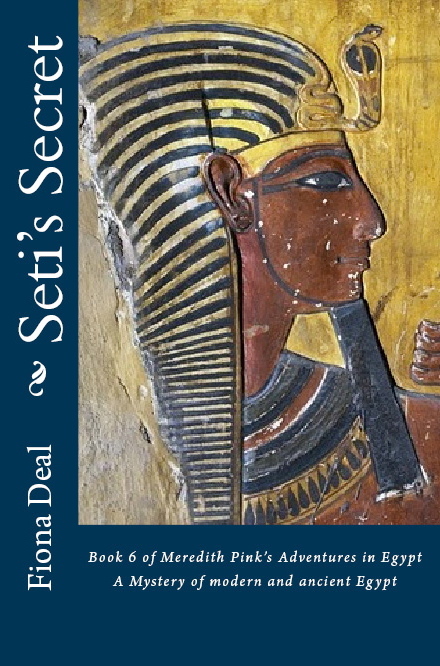 My latest novel, Seti’s Secret (Book 6 in a series following Meredith Pink’s Adventures in Egypt) also explores the Exodus story, although from a different angle. Wouldn’t it be wonderful if something could be found in Egypt to cast light on the Exodus from the historical / archaeological perspective? The ten plagues of Egypt and the parting of the Red Sea by Moses are apocryphal. We can choose to see the hand of God at play or we can seek an explanation in the natural world. Much has been written about the possibility of a series of ecological disasters causing the plagues. The volcanic explosion of Santorini in antiquity is also cited as possibly being linked to both the plagues and the parting of the Red Sea. But was it the Red Sea? The literal translation of Yam Suph is ‘Sea of Reeds’. This might make a more likely location for the crossing of the fleeing Israelites in bitter lakes near the Delta region, not far from Suez (perhaps not quite so exciting for the special effects team of a movie-maker). Morocco halted screenings of Ridley Scott’s epic because the film contains a “representation of God”, which is forbidden under Islamic Law. Scott depicts the vengeful God of the Old Testament as a young boy who comes across as a bloodthirsty little chap, for all his public schoolboy way of speaking. This vengeful God has always seemed to me somewhat at odds with the author of the Ten Commandments. But then, as others have pointed out, these appear to be a re-phrasing of Spell 125 of ancient Egyptian Book of The Dead. Similarly, Psalm 104 is a virtual mirror image of ‘the heretic’ Pharaoh Akhenaten’s Hymn to the Aten. So to my way of looking at it, and at the risk of offending those of a more orthodox religious view, the origins of many of the world’s leading religions today can be found in ancient Egypt. If you’re interested in finding out more, and you like a relatively light escapist read, you might want to give my fictional series a try. 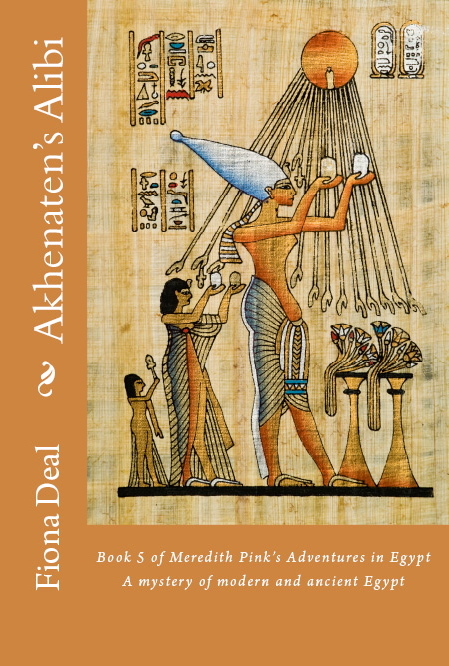 The Moses story is explored in Akhenaten’s Alibi and Seti’s Secret. The series starts with Carter’s Conundrums. 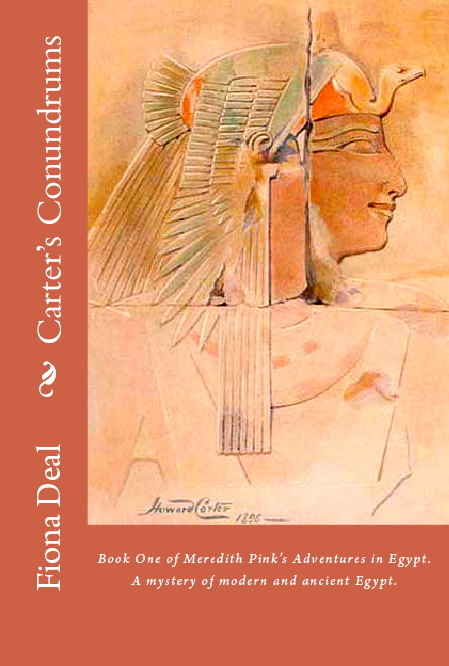 All six books in the series are set in present-day Egypt. Each is a modern adventure that also sets out to explore an ancient mystery. They are available to download or in paperback on all Amazon sites. Posted on January 2, 2015 by Fiona Deal. This entry was posted in ancient Egypt, bible, Egypt, egyptian fiction, fiction, film, History, movies, religion, theology, Travel, Uncategorized and tagged Akhenaten, ancient Egypt, Bible, egypt, Exodus, history, Moses, Old Testament, Ramses, Red Sea, Ridley Scott, Ten Plagues. Bookmark the permalink. How very interesting and thought provoking, Fiona. I will download both books and have a read.